We have information you must know before you buy the GLC-Class. The carryover 2019 GLC-Class is a hot seller, but you should be able to find or order one to fit your needs. These offers on the GLC-Class are available nationwide and expire on April 30, 2019. We expect no new offers for the Memorial Day holiday. Many automakers offer big discounts up front, but Mercedes takes a different approach. It prefers to offer unadvertised incentives to dealers to use as they please. The 2019 GLC-Class' unadvertised incentive is worth up to $1,000. The GLC-Class Coupe is excluded from all these incentives. The dealer can either pass this incentive on to the buyer or keep it for itself to increase margins. Because of this uncertainty, shop around for the best deal. The 2019 GLC300 Premium starts from $479 per month with $4,273 due at signing. Adding all-wheel drive shoots the monthly payment to $589, while the amount due at signing climbs to $4,633. With effective monthly costs of $598 to $718 on the 2019 GLC-Class, these are not good values relative to their respective MSRPs. Low APR offers remain off the table on the 2019 GLC-Class, but we expect them to return at some point. 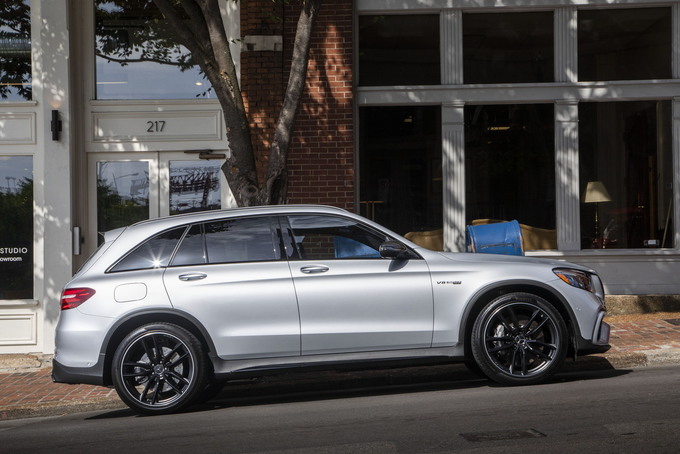 The Mercedes-Benz GLC-Class isn't your typical luxury SUV. Two body styles are offered, including a traditional SUV and a Coupe design. The GLC excels in comfort, quality, and safety, but fuel economy is its weakest link. The 2019 Mercedes-Benz GLC-Class returns with only minor changes. The standard engine for the GLC 300 is a turbocharged 2.0-liter four-cylinder with 241 horsepower and 273 pound-feet of torque. The SUV comes with standard rear-wheel drive or available all-wheel drive (4MATIC, in Mercedes-Benz parlance). The coupe is all-wheel drive only. In both cases, power is sent to the wheels with a nine-speed automatic transmission. The GLC 350e adds an electric motor to the base engine to form a plug-in hybrid. This one comes with a seven-speed automatic transmission, but the net gain in fuel economy is minuscule. The four-cylinder achieves an EPA-estimated 22 miles per gallon city, 27 mpg highway, and 24 combined, while the GLC 350e gets 25 mpg combined when it's running on gasoline. As for the AMG GLC 43, this all-wheel-drive model comes with a twin-turbocharged 3.0-liter V6 engine making 362 hp and 384 lb-ft of torque. The AMG GLC 63 is the performance master of the class, making 469 hp and 479 lb-ft of torque with a twin-turbocharged 4.0-liter V8 engine. But that’s not all – if you choose the AMG GLC 63 S variant, power mushrooms to 503 hp and 516 lb-ft of torque. All AMG GLC 63 models come with a limited-slip differential, although the in the GLC 63s it's electronically controlled for faster performance transfer. The GLC-Class seats up to five. It has top-notch crash scores and comes with a full suite of power features. Every model also has Bluetooth with audio streaming. To get features such as Apple CarPlay and Android Auto, you’ll pay $350 for what’s included on many mainstream models. Go figure. Mercedes-Benz always offers multiple package options across its model line. The GLC-Class is no exception. 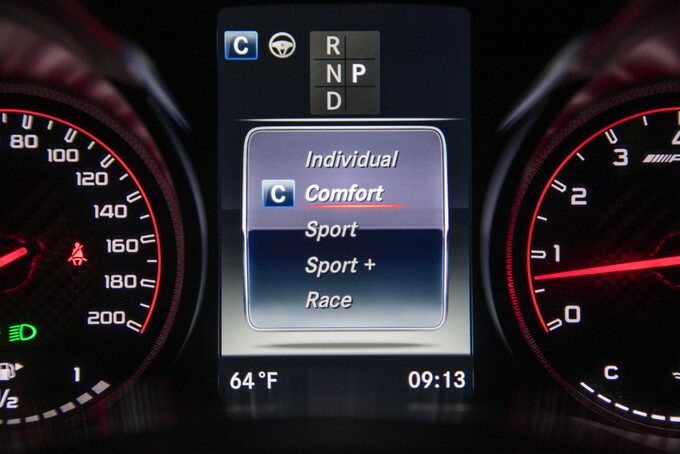 These packages cover lighting, multimedia, driver assistance, leather seating, and an AMG Line. You may find a slight variation in package offerings and price between the two body styles. Our examples cover the SUV. Starting at $41,695 for the SUV (all prices include the $995 destination charge), or $48,295 for the Coupe, the GLC 300 kicks things off for this model line. Standard features include LED lights, 18-inch alloy wheels, roof rails, and a power liftgate. Inside, there's a power tilt-and-telescopic steering column, imitation leather seats, wood trim, a seven-inch color display, a premium audio system, and navigation. 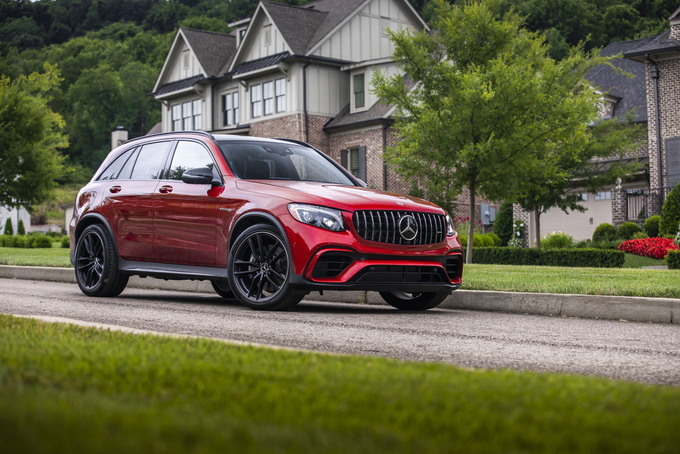 Options include an AMG Line Package ($1,600) that adds AMG body styling, 19-inch AMG wheels, a sport brake system, AMG Line interior, sport steering wheel, brushed aluminum pedals. You’ll also find a Night Package ($1,900), which requires the AMG Line first, that brings gloss black exterior accents, 19-inch AMG wheels with black accents and black roof rails. The Exterior Lighting Package ($1,650) includes active LED headlights and adaptive high beam assist. 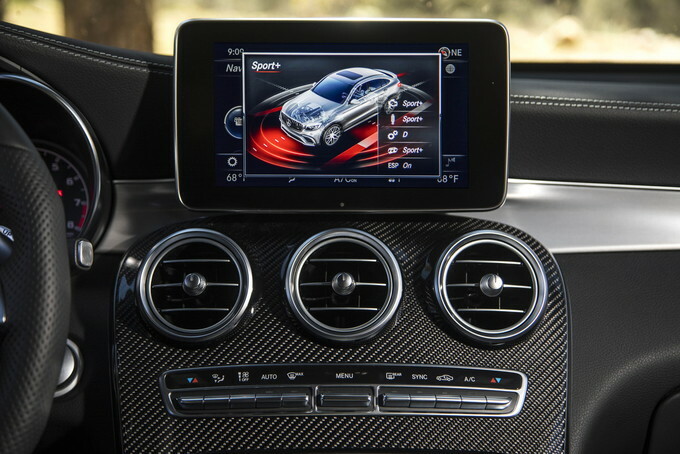 The Premium Package ($1,250) adds blind-spot monitoring, keyless entry, and satellite radio, while the Multimedia Package ($2,200) brings an 8.4-inch screen with navigation, a touchpad controller, an in-dash DVD/CD player, and voice control. The Driver Assistance Package ($2,250) includes blind-spot monitoring, lane keeping assist, speed limit assist, forward collision warning, automatic emergency braking, rear cross-traffic alert, and adaptive cruise control, while the Parking Assistance Package ($1,290) adds a hands-free liftgate, a surround-view camera system, and park assist. Only available in SUV form with four-wheel drive, the GLC 350e builds on the base model and starts at $50,985. Net system performance comes in at 320 hp and 413 lb-ft of torque thanks to the addition of an 85-kilowatt electric motor. This model has a 21-mile all-electric range. 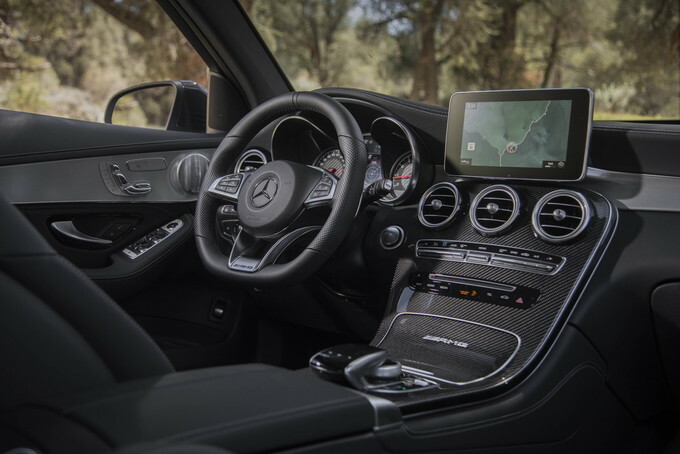 The AMG Line, Night, Multimedia, Advanced Parking Assist, and Driver Assistance Packages return unchanged, while the Premium Package only costs $800. The Advanced Lighting Package ($800) adds LED headlights and adaptive highbeam assist, while the Air Balance package ($350) brings a cabin fragrance and air purification system. Priced from $57,245 ($61,395 for the coupe), the AMG GLC 43 is the first of two performance models under the GLC-Class umbrella. Besides the strong powertrain, this model benefits from 20-inch wheels, a power sunroof, keyless entry with push-button start, upgraded upholstery, and satellite radio. The Advanced Lighting Package costs $1,900 here because it includes AMG-illuminated front door sills, while the Multimedia, Air Balance, Driver Assistance, and Advanced Parking Assist Package are available unchanged. 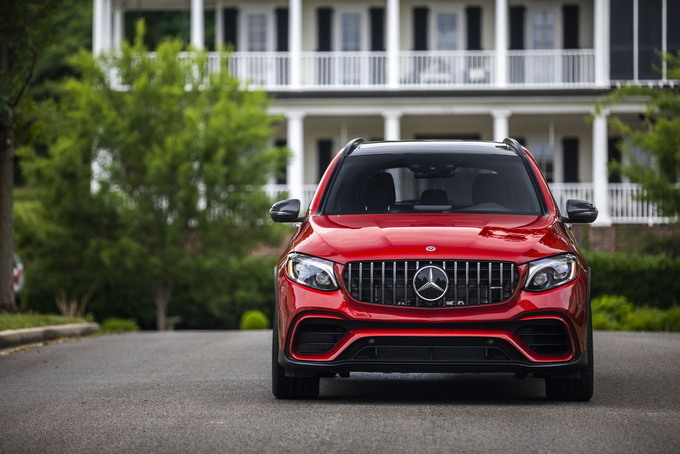 Costing $70,895 ($74,145 for the coupe), the AMG GLC 63 is the ultimate mid-size performance utility vehicle, with a zero-to-60 mph time of 3.8 seconds. Its handcrafted twin-turbocharged V8 engine is its calling card. A sport suspension system, performance brakes, and enhanced driving dynamics are its other attributes. Choose the GLC 63 S ($81,745 and available only with the Coupe) and you’ll enjoy the ultimate in performance. Package options mirror those found on the AMG GLC 43, though the Advanced Lighting Package is only $1,050. 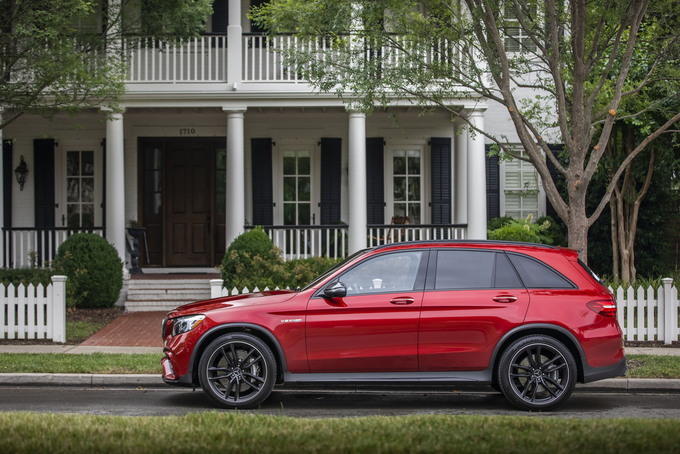 If you’re shopping for a mid-size luxury SUV with acceptable performance, the GLC 300 gets it done from the 2019 Mercedes-Benz GLC-Class. The Coupe version encroaches on head room and reduces storage space, so it isn’t ideal for carrying five adults, while the hybrid doesn’t yield the efficiencies to justify consideration. 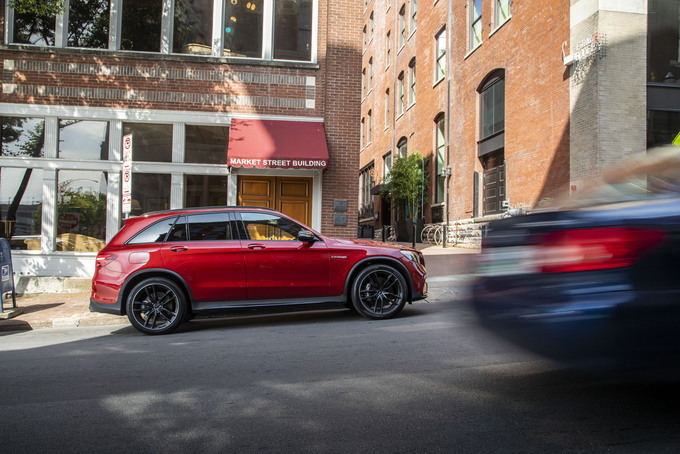 The luxury crossover market has established itself as highly profitable, but it gets more competitive by the year. The 2019 Mercedes-Benz GLC-Class stakes its name on a lavish cabin and strong safety. It’s not the most exciting entrant, but it sure is a nice way to get around. The new and fearsome AMG GLC 63 is a little too brutal for us, but its little sibling the AMG GLC 43 is a sweetheart. The twin-turbocharged V6 lends accessible power, and the sharper steering makes for a more enjoyable driving experience. Sadly, it also means coughing up an extra $15,000, so it’s not stellar value. Most buyers will be content with the base-level GLC 300, which still has plenty of oomph in the form of a 241-horsepower, 2.0-liter turbocharged engine. The Coupe body is edgier, but mostly less useful, so we’d stick with the traditional SUV. The GLC 300 doesn’t go light on luxury either, boasting heated front seats, push-button start, dual-zone automatic climate control, and wood trim. A package or two helps round out the features, but we resent paying extra for Android Auto and Apple CarPlay, and the best active safety features have far too many prerequisites. The GLC drives best in AMG form, with either a twin-turbo V6 or a fire-breathing twin-turbo V8. Both AMG variants are quick off the line, but they also benefit from a sophisticated chassis and more communicative steering. The GLC 300 is no slouch, though – it still gets to 60 in under 6.5 seconds. The nine-speed automatic transmission is pleasant, and handling is controlled and precise. In base form, however, the steering is too anodyne to be enjoyable. The hybrid powertrain is another clunker, adding around $9,000 to the price while offering limited electric-only range and achieving just a one mile per gallon boost in combined efficiency. Rivals offer diesel or plug-in alternatives for those who despise stopping for gas, but Mercedes’ powertrains haven’t caught up yet. 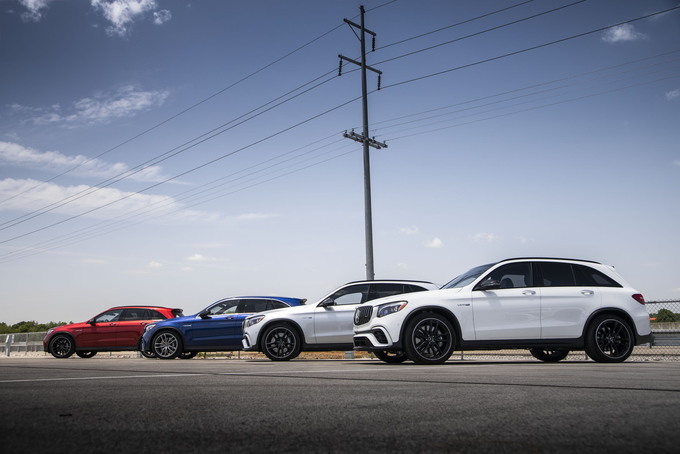 These days, sedans follow the styling cues of crossovers more than vice versa, and the GLC is a suitable leader. A tall grille complements an upright stance, while graceful lines and large air intakes make for a sharp first impression. The Coupe body’s sloping roof is lovely in profile. On the inside, every GLC is stunning. Well designed and lush, the cabin overflows with tasteful details. Standard and optional gear is sensible, and it’s worth mentioning that the GLC gets a Top Safety Pick Plus designation from the IIHS. While nice to look at, the Coupe sacrifices valuable cubic feet of storage space. The AMG engines pipe engine noise into the cabin, but the GLC 300's cabin could afford to be slightly quieter. The biggest downside of all is the price – go overboard in the configurator and the GLC gets expensive indeed. Active safety features are expensive due to multiple prerequisite packages, and even typical features like smartphone compatibility cost extra. An interior this lavish makes any journey look appealing, but it comes with a price – at the dealership and at the gas pump. The GLC is a good bet for those who like to travel in style. Properly optioned, the interior outclasses rivals, and the sharp exterior will induce more than enough parking lot envy. The GLC is capacious enough for many family duties, although it doesn’t offer a third row. Buyers who prioritize the driving experience are better off elsewhere. Especially in base form, rivals remain more nimble (not to mention more fuel efficient). Competitors may also offer better value, especially if optional tech is on the must-have list. 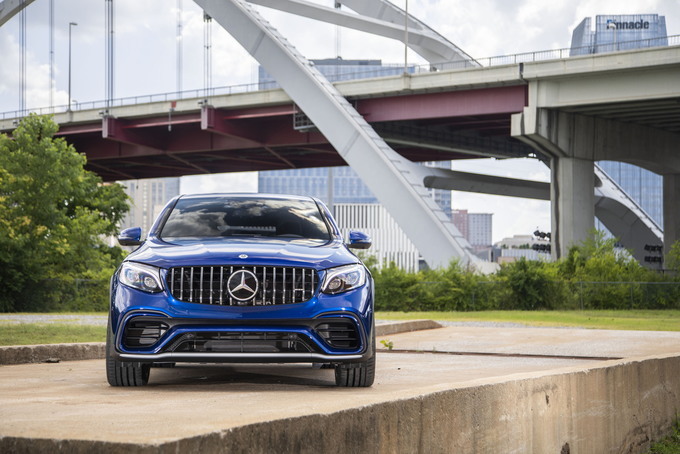 The 2019 Mercedes-Benz GLC-Class doesn’t redefine the segment, but it does push it to new levels of luxury. For some buyers, the interior alone will be convincing, and we don’t blame them. The AMG engines will sate those with heavy right feet, and the Coupe provides an option for buyers who like style over substance. This is Mercedes doing what Mercedes does best: style, comfort, and class. We have partnered with trusted dealers in your area to give you a great price on the new Mercedes-Benz GLC-Class.